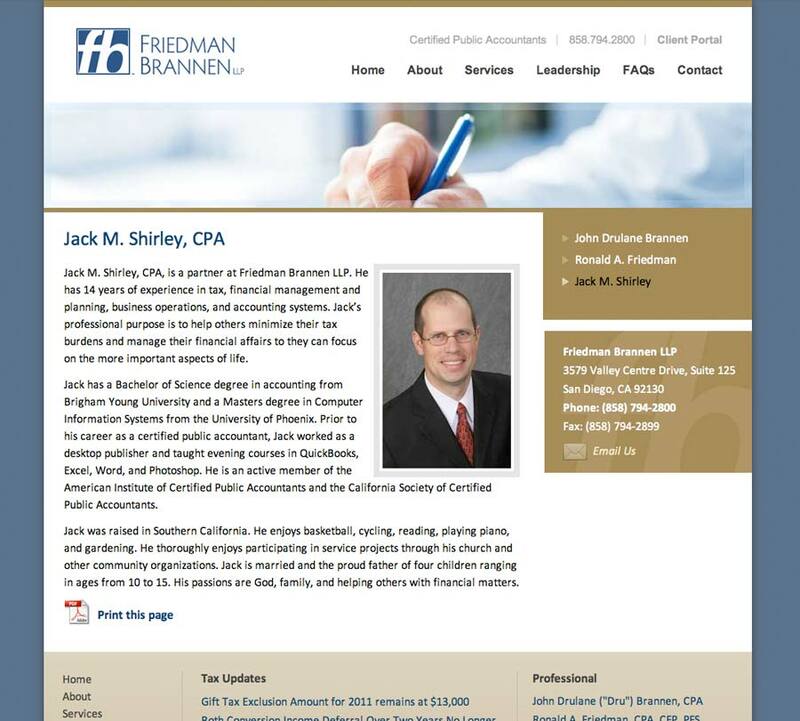 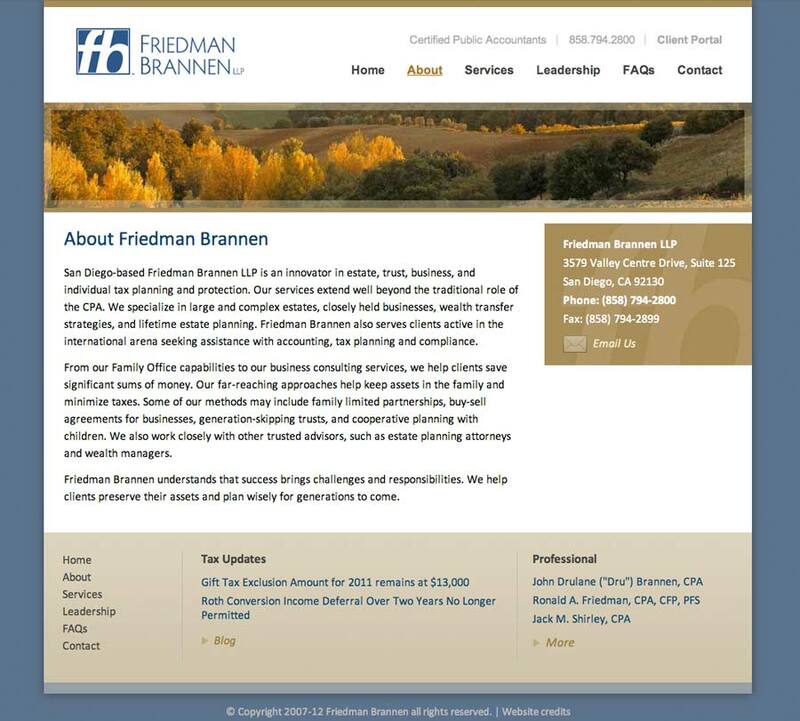 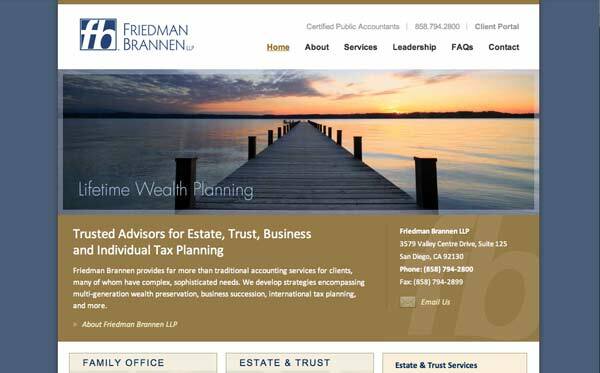 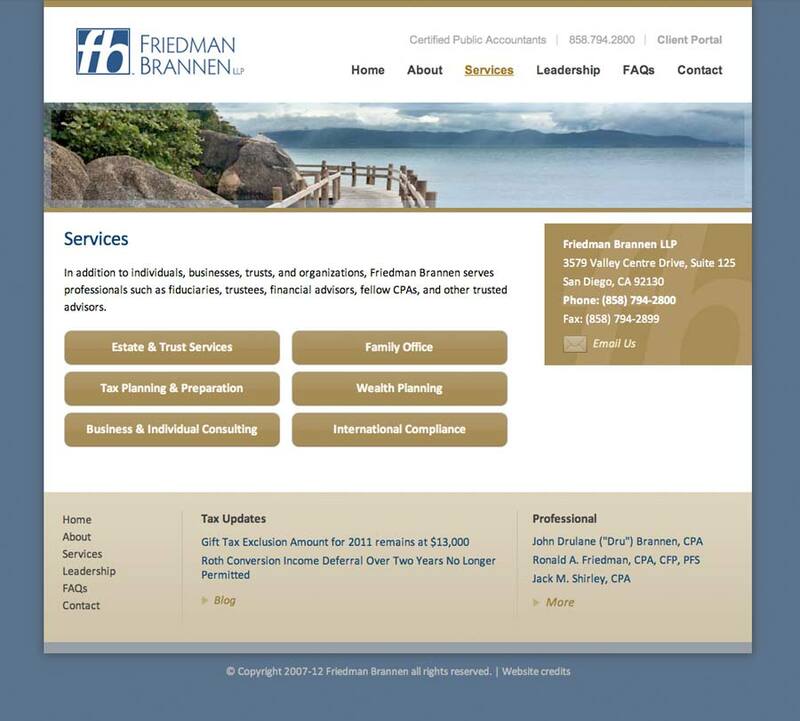 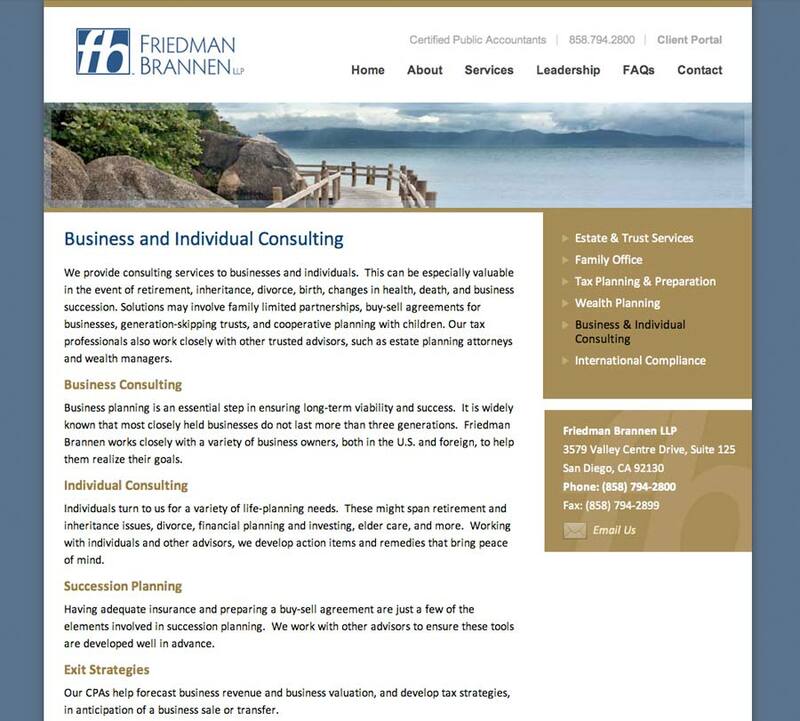 The Challenge: The experienced accountants of San Diego CPA firm Friedman Brannen had a static website with solid content but an outdated design. 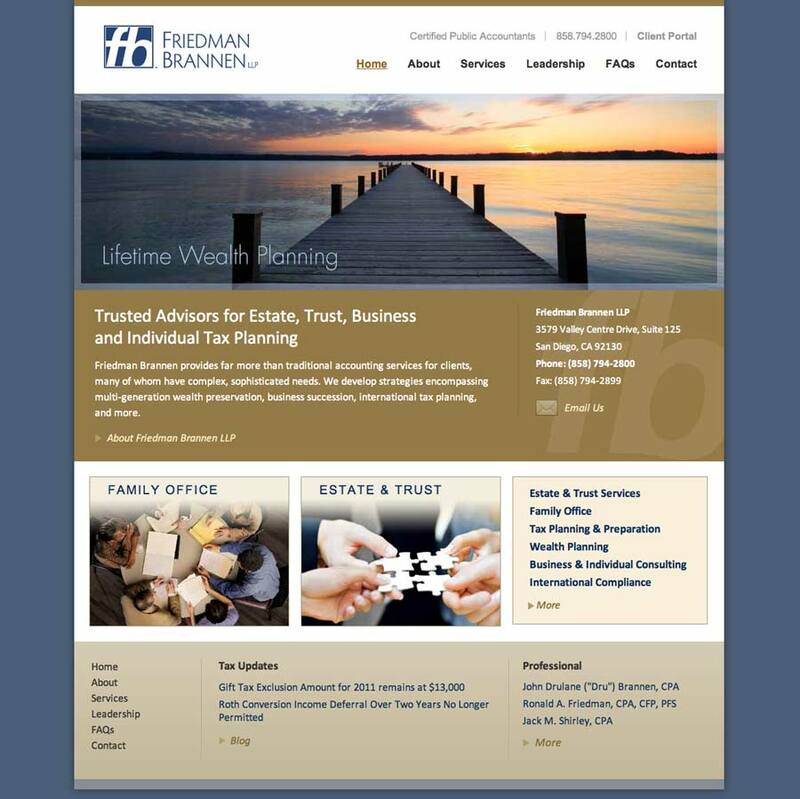 Their logo and corporate identity featured a corporate dark blue color for all elements. 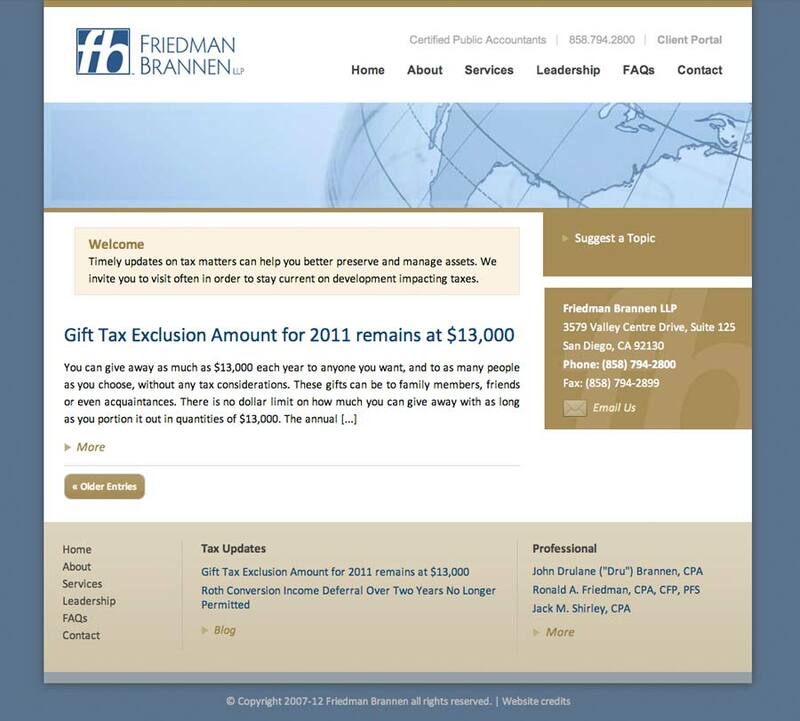 The Solution: Evolution Design created a custom themed WordPress website with brown and beige to complement the dark blue in the client’s logo. 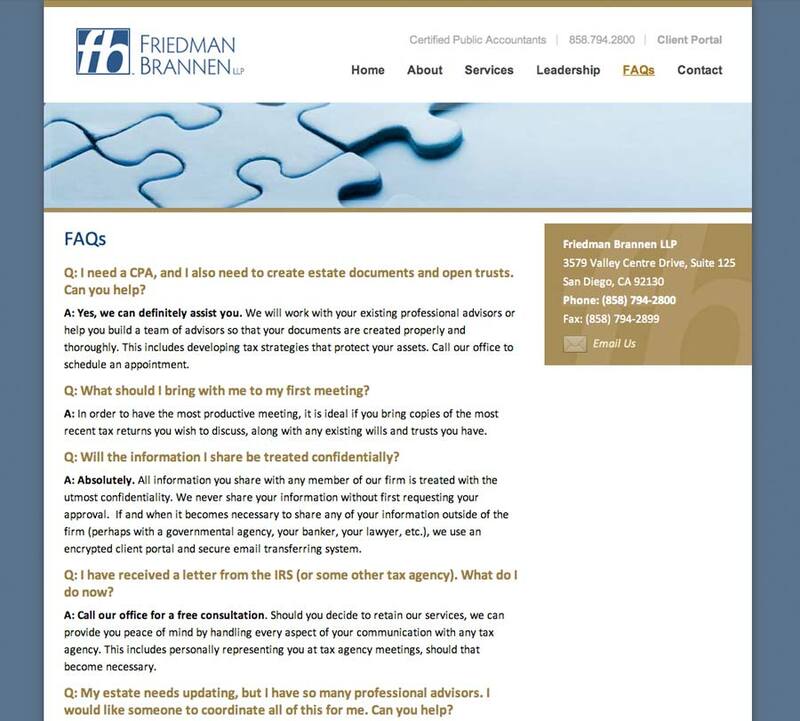 To add warmth and a friendly appearance, shades of brown and gold were used in buttons, text and imagery throughout the site. 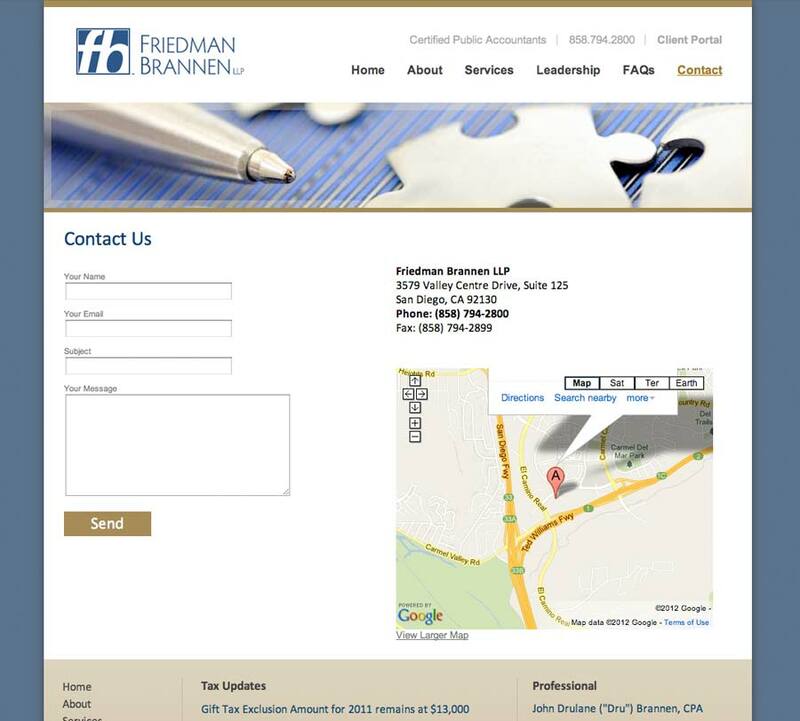 A customized how-to guide was created to help website managers understand and change their site.